Hello, Karen Jameson! Thank you SO much for allowing me to reveal Moon Babies’ JOYFUL cover. I hope you have a TERRIFIC weekend. Karen: Thank you, Mr. Schu! I'm so delighted to be here today with a first look at Moon Babies gorgeous cover! I wrote the words in purple, and Karen Jameson wrote the words in black. Thank you, Karen! The cover illustration for Moon Babies offers an irresistible peek at two of the moon baby characters. Both whimsical and adorable, their expressions hint at all the fun in this book. Spoiler alert- More babies are frolicking around inside! Amy Hevron’s illustrations are dreamy! Her palette of deep blues, purples and pinks, creates the ideal setting for a celestial nursery. Using an acrylic-on-board technique, Amy brings a beautiful warmth, depth and texture to the moon babies’ realm. As wonderful as her moon world is, her darling babies steal the show! 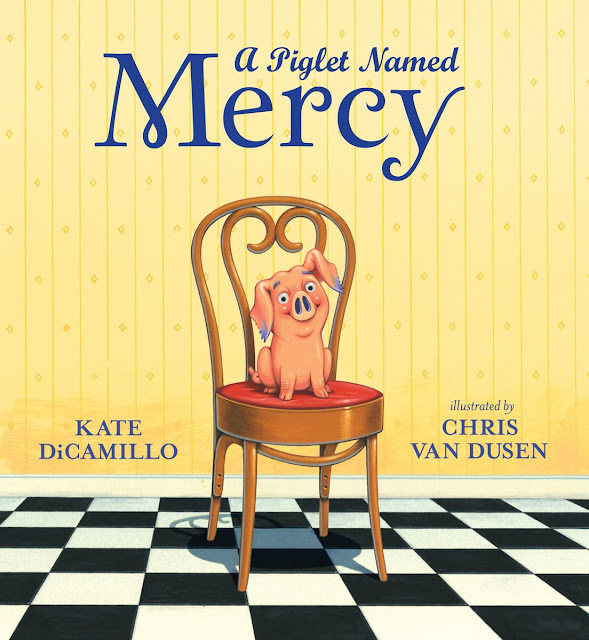 I was lucky enough to meet Amy at the LA SCBWI conference this summer and she’s every bit as lovely as her art. 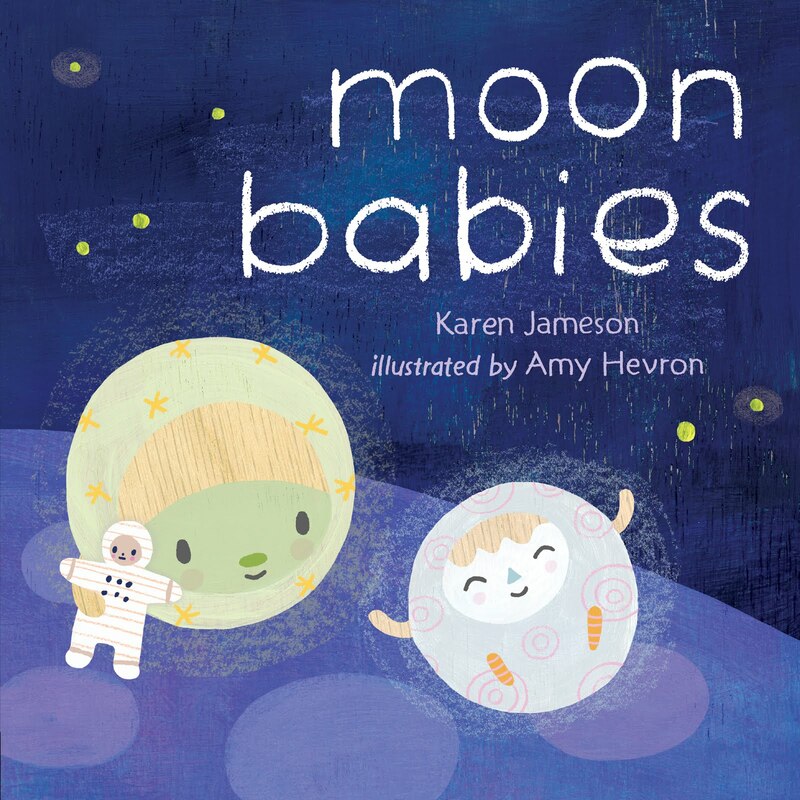 On July 2, 2019, Moon Babies will make its official debut and I am (pardon the pun) “over the moon!” I can’t wait to launch my first book baby into the world! 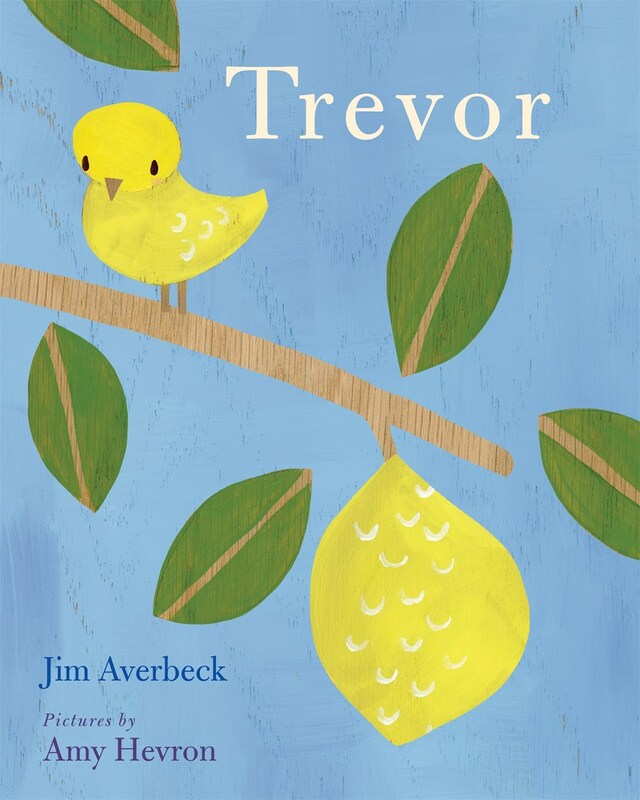 Picture books are not just for kids. No matter our age, they inform, inspire, delight, touch hearts and tickle funny bones. They refresh and reframe our world, one tiny, perfect tale at a time. Story is a precious gift. A human connection. Whether shared as a group or savored in solitude, the best stories stay with us and become a part of who we are. Mr. Schu, you should have asked me about my favorite part of working on Moon Babies. I had a blast brainstorming all kinds of fun and quirky things for these cuties to do in their moon world. In the end, I got a little carried away and had to tone down some of their antics. I also got a bit overzealous with the exclamation points and my critique group had a field day teasing me about that. Ha! But, who can blame me? Moon babies are exciting!!! Look for Moon Babies on July 2, 2019.